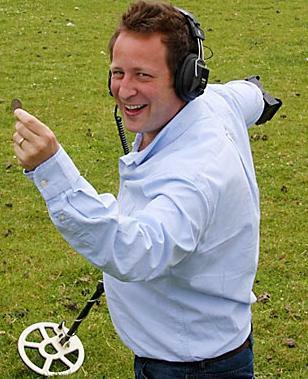 No need to apologise Mr Vaizey, you were a help! So far well over 8,000 people have viewed our recent article about Ed Vaisey. On Friday it was the most-viewed WordPress posting in Britain, and 12th in the world. We’re glad it’s been widely seen as it happened to contain an outline of our whole thesis (in contrast to the image of us as heritage crazies that some people put about!) In truth we’ve no issue with metal detecting providing it’s properly regulated so it’s in the public interest, not the reverse. No archaeologist would disagree with that and we know that thoughtful detectorists are of the same view so we’re grateful Ed’s faux pas has highlighted the issue to so many people. Henceforth no-one can claim the cat isn’t well and truly out of the bag – and applauded! It would be good if the Minister’s clumsy remarks turned out to be the nadir of the 15 year “laissez-faire and-pretend it’s fine” policy. It’s certainly high time archaeologists and heritage professionals – and any detectorist who aspires to the label “history lover” – told him that the Emperor has no clothes, the voluntary system hasn’t delivered what’s needed and his heroes need to be properly regulated. He definitely needs to be better briefed about what are the proper priorities for a Culture Secretary (which are, well, culture!) ….. There are 74 Million WordPress websites and thus immensely more articles in the world so I think the fact an article on Ed Vaizey and metal detecting being the 12th most read article across the globe is a bit of fantasy i’m afraid, especially since in 8th position was a Blog on knitting?? I would suggest that somewhere there is a glitch in the stats (maybe Spambot/Trawlbot activity?) Nice thought all the same, but sadly implausible. Dont really know why you lot bother , your contribution of recorded finds is so low compared to the amazing finds made by hobbyist metal detectorists has been outstanding ,,as can be seen in the TV program Britain’s secret treasures . Do you donate these finds to a museum free of charge? If you care about history why do you want a reward? Surely if it’s all about furthering knowledge of the past you wouldn’t want a monetary reward just an acknowledgment that you were the finder. Unfortunatly the same goes for fossil hunting where some so called enthuisiasts are in it for the money and not the science. Luckily there are some who do donate important fossil finds to museums and don’t expect a reward. Shame others don’t follow their lead. Dont really know why you lot bother, your contribution of trophy heads on walls is so low compared to the amazing numbers contributed by hobbyist American hunting tourists with there high-powered rifles. There yield is outstanding. Well, it does make you wonder doesn’t it why conservationists bother. Certainly a kill-crazy hunter will never understand it, or ecology. Senua, you’ve asked the question to which there’s no comfortable answer. It’s always done “for the love of history” yet only a few renounce their treasure rewards and most seek a finds agreement. It doesn’t fit. Mr Vaizey should be loudly asking WHY, not talking of heroism. Imagine amateur archaeologists asking for treasure rewards and a 50% share of whatever was dug up to put on EBay. Yet the Minister didn’t mention them at all!